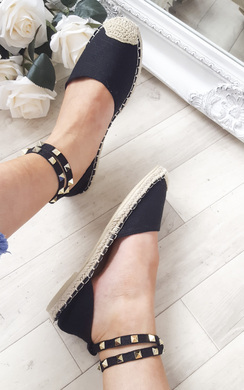 Up ya shoedrobe game with these lust-worthy espadrille sandals! 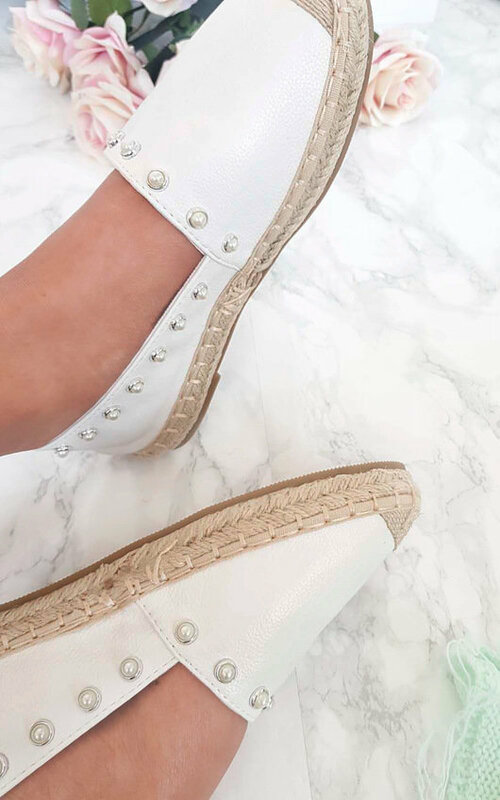 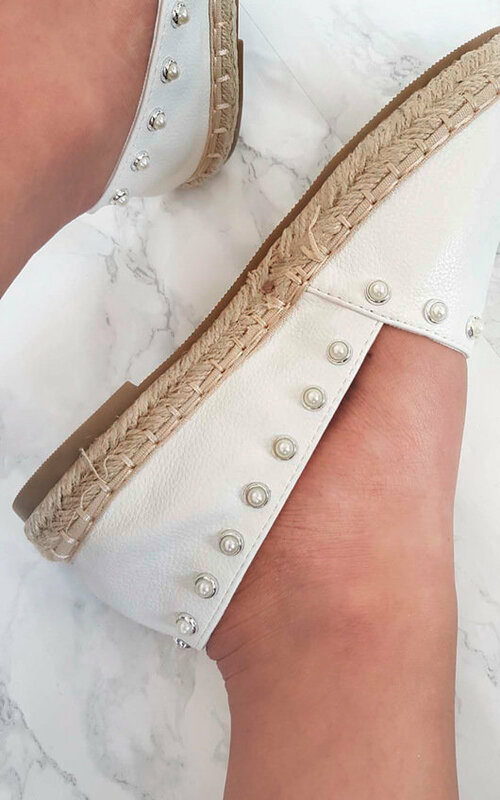 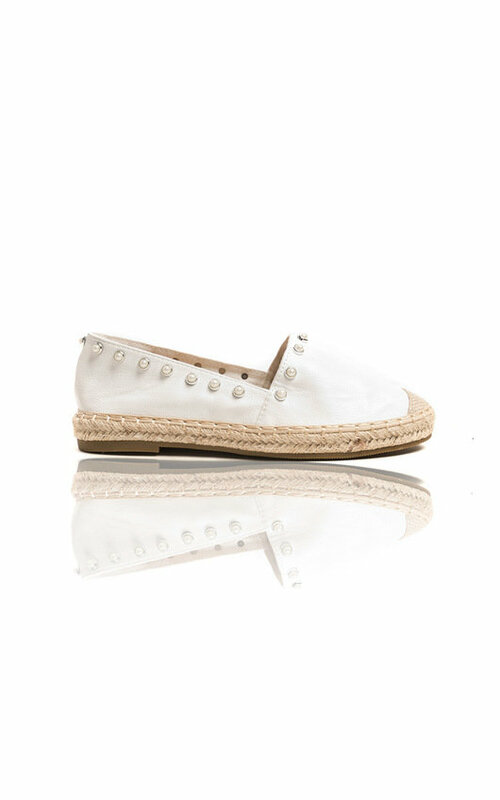 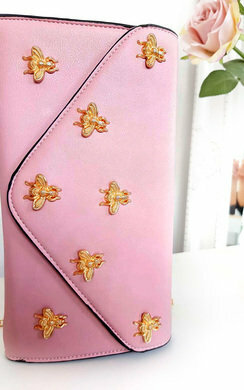 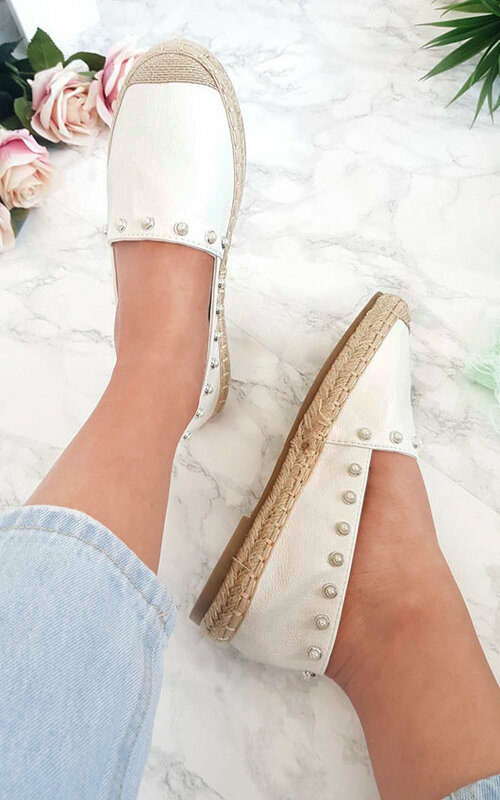 Featuring a studded pearl deatil, faux leather and espadrille rope style solde. 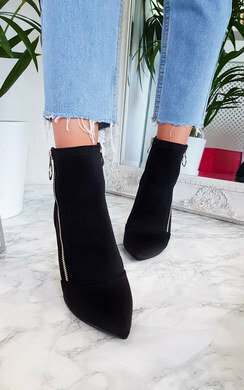 Style with cool denims and an oversized tee for a casual laidback style!